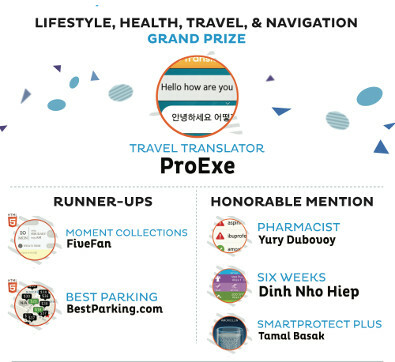 Travel Translator is created to improve your everyday conversations in different languages. Travels, business meetings or language learning have never been so simple. Do you want to communicate in a foreign language? Do you need to understand what you are listening to or reading in a foreign language? Travel Translator works in both communication directions! All at your fingertips. Travel Translator uses professional translations services to be really responsive and accurate. There are 37 languages available (together with their different variants). BestParking is a parking search engine that steers drivers toward the cheapest and most convenient parking garages and lots in 100 cities & 115 airports throughout North America. Save hundreds of dollars! Your Private Journal Application. You can write, create, organize whatever you feel make you better. Beautifully designed, and well organized app give you better digital journal experience. Pharmacist checks the compatibility of drugs in the offline mode for any quantity of drugs taken at the same time. The application has information about the interactions of more than 7,000 drugs. This is the result of careful analysis of more than 50,000 drug names. The application provides a detailed description of the interactions with links to authoritative sources and clinical research, through which you can now make the treatment much more secure. Six Weeks help you get into shape, learn how to workout, have beautiful muscles in just six weeks. All you need now is 10 minutes three times a week, a comfortable spot, and your smartphone. Protect Your Files at The Heighest Level by Hiding or Locking it. File Locking is based on 128 bit AES encryption using system generated random password which is the highest security level in current Tizen platform. Use The Intelligent ImageViewer, AudioPlayer and VideoPlayer to view your hidden files without unlocking them.